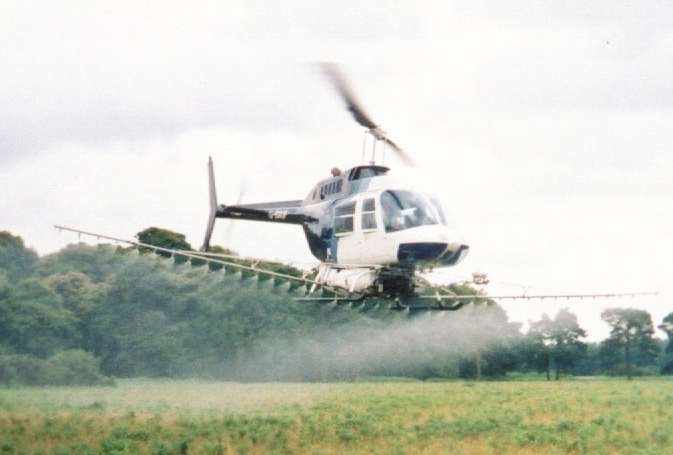 Aerial spraying is one of the most highly controlled activities (and so it should be). Many rules, regulations and laws impinge upon or actually govern the workings of the aerial application industry. Legislation concerned with the aviation aspect is dealt with by the Civil Aviation Authority (CAA). Aviation rulings are based upon sound airmanship values and are clearly set out in their CAP documents; those relevant to aerial spraying include CAP414, CAP 393 (with particular regard to article 49 and rule 5), CAP 74, and CAP 748. These are all encompassed within the comprehensive Operations Manual that all operators have to possess and work to. The Manual will also make reference to parts of the Food and Environment Protection Act (FEPA) 1985. This legislation, and supporting regulations (the Plant Protection Product Regulations 2005, the Control of Pesticides Regulations 1986 and the Plant Protection Products (Basic Conditions) Regulations 1997) set out the means by which Asulox is approved and lays down certain conditions for its use regarding training and notification on the use of the product. The Code of Practice for using plant protection products also provides specific guidance. 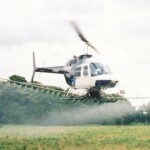 Additionally, aerial spraying is governed or impinged upon by elements of other regulations and these include:- The Wildlife and Countryside Act 1981, The Control of Pesticides Regulations 1986, The Control of Substances Hazardous to Health Regulations 1994, The Plant Protection Products (Basic Conditions) Regulations 1991 and Amendment Regulations 1997, The Salmon and Freshwater Fisheries Act 1975, The Water Framework Directive and EU Drinking Water Directive, and rulings of the CROW Act. Policing of aviation regulations (as well as some of the FEPA elements) is carried out by the CAA by means of regular base and working site inspections using their own safety officers (who are usually highly experienced pilots themselves). Governance in relation to aspects of environmental legislation can be overseen by either Scottish Natural Heritage (SNH) for work in Scotland, or Natural England (NE) in England or Natural Resources Wales (NRW) in Wales. When making a decision on issuing a Permit the Chemicals Regulation Directorate may consult with these bodies. The Health and Safety Executive (of which CRD is part) would deal with any suspected contravention of the rules by operators.